In a move that has been long overdue, the latest version of Chrome OS Canary has added some new printing options. Last week, the Chromium open-source project graduated the Canary channel to version 57 as developers begin work on the newest enhancements to Google’s operating system. Until recently, printing options for Chromebooks and Chrome OS devices were very limited. Google Cloud Print was the only viable option and required a cloud-ready printer. Even then, depending on the manufacturer, navigating and using a printer could be a thorough pain. 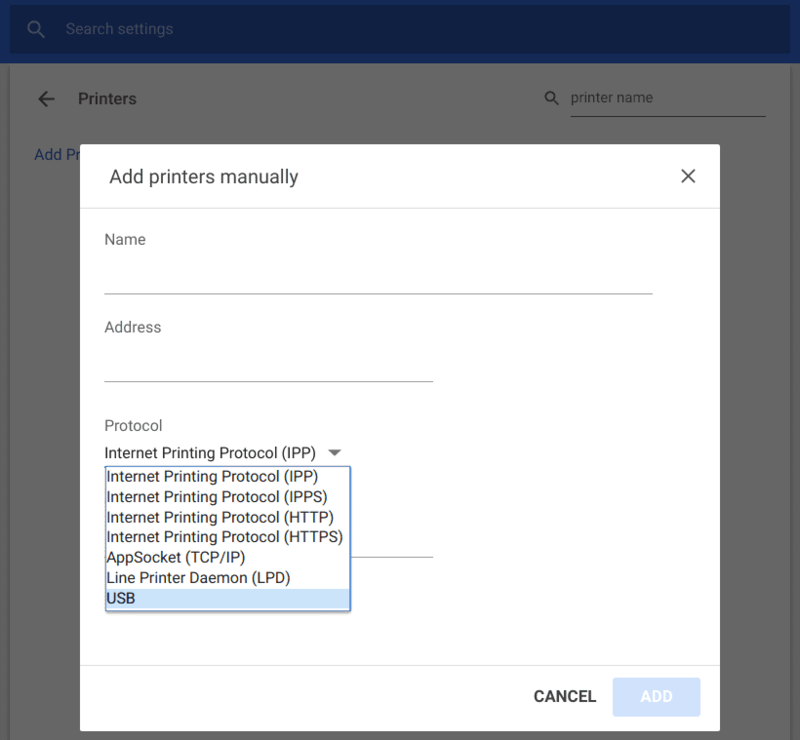 Thankfully, OEMs like HP have been proactive in creating web apps for Chrome OS that allow USB printing as well as WiFi printing that bypasses the whole cloud-print setup. It has to be an HP printer and not all HP printers work. That’s not a jab at Hewlett Packard. If I manufactured printers, I probably wouldn’t make an app that works on other device either. Honestly, I am surprised other manufacturers haven’t followed suit. The feature is currently disabled by default in the Canary channel. Enabling requires just a simple flip of the switch in the chrome://flags screen of your Chromebook browser. From there, press ctrl+f and search for print. You will see a flag labeled Native CUPS. Once enabled you will find a new option for printers in your settings menu that should look like this. Theoretically, this would allow for traditional and USB printing from your Chrome device regardless of your printers manufacturer. Keep in mind, this does require moving to the Canary channel of Chrome OS. This is not for the faint at heart. If you do not have a full grasp of the process and understand the risks involve, please do not attempt installing the Canary build. If you do make the switch, have fun on the “bleeding edge” of Chrome OS. This is a huge step forward for Chrome devices. Developers are pressing forward in making the operating system an all-inclusive ecosystem that is richly functional for users at both ends of the computing spectrum.